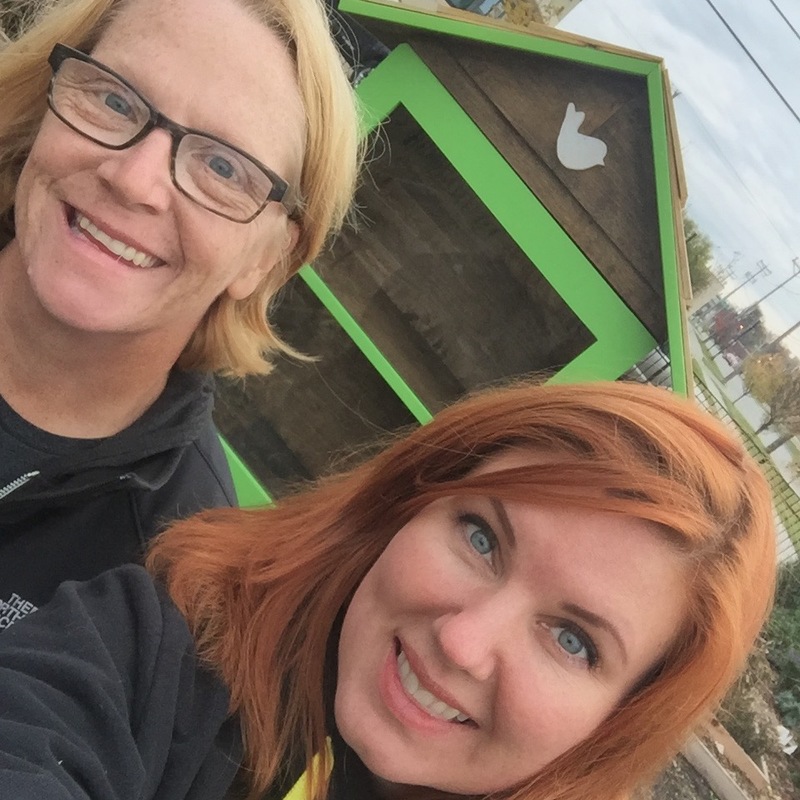 Mara Morken and Barb “Dusty” Urness are regular collaborators on projects ranging from building unique furniture to creating public art spaces for the community. Their collaborative piece for Sticksgarden traces the meandering Red River from its North-most point in Moorhead to its South-most point, as it appeared in 1994– in gold. In a lower fold of the river’s twists is placed a single gold divot. This spot is where Sticksgarden sits in relation to the Mighty Red– a sort of You Are Here point for people viewing the piece.